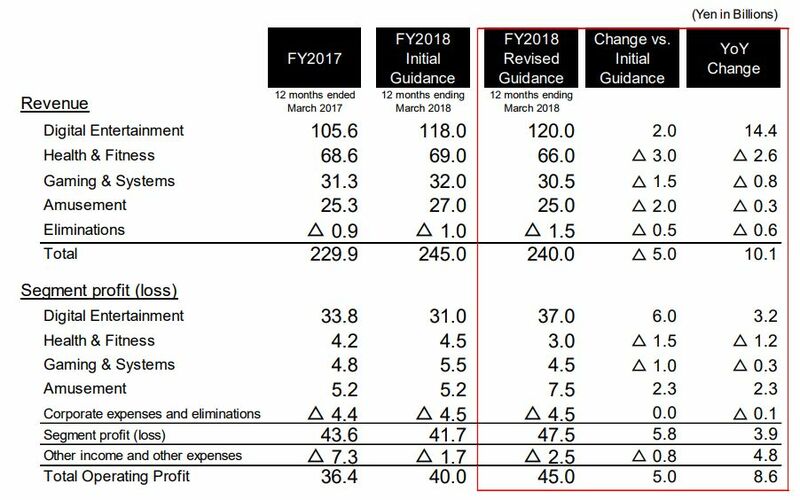 Konami keeps posting solid financials, with its video game business leading the charge ahead of Metal Gear Survive's release. 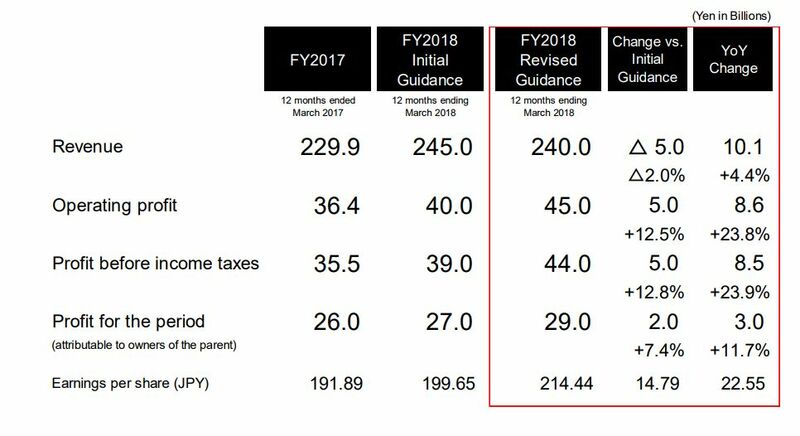 Today Konami posted its financial results for the nine months ended on December 31st. As you can see in the table below, all figures are in the black, with a substantial increase of profits year-on-year. The press release also included a more detailed explanation of the results, and below you can read the full segments related to gaming. 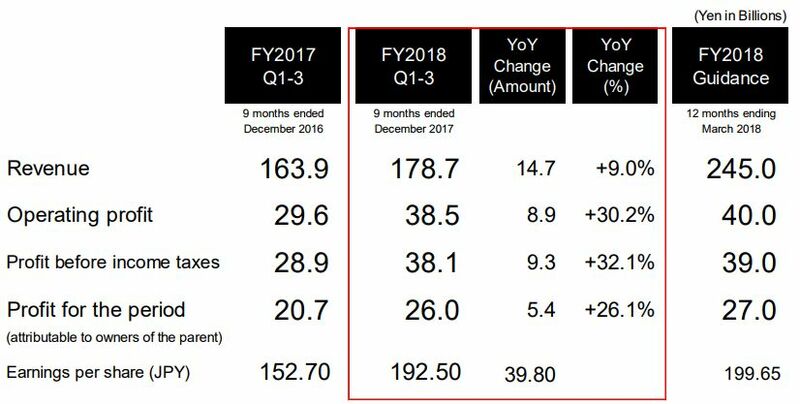 We also get a breakdown by segment, showcasing that the Digital Entertainment business (video games) is still the biggest driver of Konami’s results, with a strong year-on-year increase of both revenue and profit. 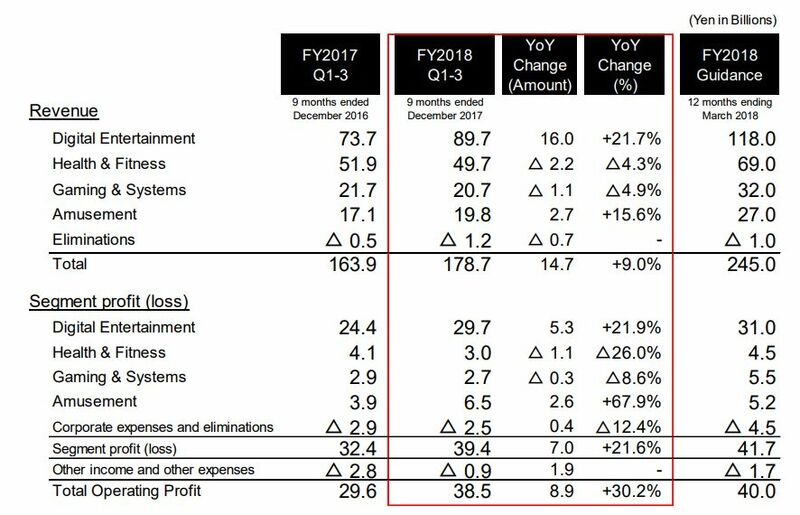 The “Gaming” mention shouldn’t confuse, as the “Gaming & Systems” business is related to arcade and pachinko machines, and saw weaker performance year-on-year. The explanation of in the press release mentions both mobile games and “stable performance” for Pro Eevolution Soccer 2018 and Super Bomberman R in the home console department. “In terms of the mobile games in the Digital Entertainment segment, we released Winning Eleven CARD COLLECTION(known overseas as PES CARD COLLECTION) globally in approximately 150 countries and regions. This title has received favorable reviews from many customers. In addition, we substantially upgraded Winning Eleven 2018 (known overseas as PRO EVOLUTION SOCCER 2018). Other mobile game titles also continued to enjoy strong performance, including JIKKYOU PAWAFURU PUROYAKYU, Yu-Gi-Oh! DUEL LINKS and PROFESSIONAL BASEBALL SPIRITS A (Ace).As for card games, the Yu-Gi-Oh! TRADING CARD GAME series continued to develop in the global market. We continued to work to revitalize the contents, including the release of new cards with additional rules which appeared in the new television animated series. The publisher also revised its full-year prediction (until March 31st, 2018), indicating that it expects slightly lower revenues (but still better year-on-year), but higher profits. The revised prediction broken down by segment shows that the prediction for the video games business (Digital Entertainment) is actually the only one that was increased for both revenue and profit. Last, but not least, the press release comes with an explanation of the forecast for the next quarter related to the Digital Entertainment business. “With the spread of entertainment offered through networks, the available means of providing games continue to diversify.Opportunities to reach an even greater audience for games are increasing. Against this background, we intend to develop ways of playing games that match the characteristics of each device. As for mobile games, the latest title in the Winning Eleven series, Winning Eleven CARD COLLECTION(known overseas as PES CARD COLLECTION), was released. Asfor the existing mobile titles, the total number of registered users of all contents we developed continues to increase steadily. Those game titles include Winning Eleven 2018 (known overseas as PRO EVOLUTION SOCCER 2018), which surpassed 80 million downloads worldwide, and Yu-Gi-Oh DUEL LINKS, which surpassed 60 million downloads worldwide. The PC version of Yu-Gi-Oh DUEL LINKS was also begun to develop worldwide and has received favorable reviews. As for new titles to be released, we are now focusing on producing titles to meet customer demands, including Quiz Magic Academy LOST FANTARIUM, LOVEPLUS EVERY, and Tokimeki Idol. With a focus on these titles, we will strive to provide content that enables us to deliver pleasure to customers in various ages and regions. As for card games, Yu-Gi-Oh! TRADING CARD GAME will celebrate its 20th anniversary once it goes on sale in February 2019. To celebrate this milestone, we will designate the year starting from February 2018 as the 20th anniversary year and we will work hard to revitalize the contents by developing various measures. As for computer and video games, we will release METAL GEAR SURVIVE in February 2018. As an approach to eSports, we also held the National Finals for the all-Japan eSports tournament “PAWAPURO CHAMPIONSHIPS2017,” a tournament officially recognized by the Nippon Professional Baseball Organization (NPB), and the “PES LEAGUE WORLD TOUR” qualifying rounds in Asia which were held in January 2018. We will strive to enable customers to have continue having fun. In addition, we are eagerly working on JIKKYOU PAWAFURU PUROYAKYU 2018, which is to receivenew features including VR compatibility, and ANUBIS ZONE OF THE ENDERS : Ｍ∀ＲＳ, which was exhibited at Tokyo Game Show 2017. These are expected to be released in spring 2018. If you want to compare, you can check out the results posted three months ago, which were also rather solid.